What is fashion? What is poetry? What is love? 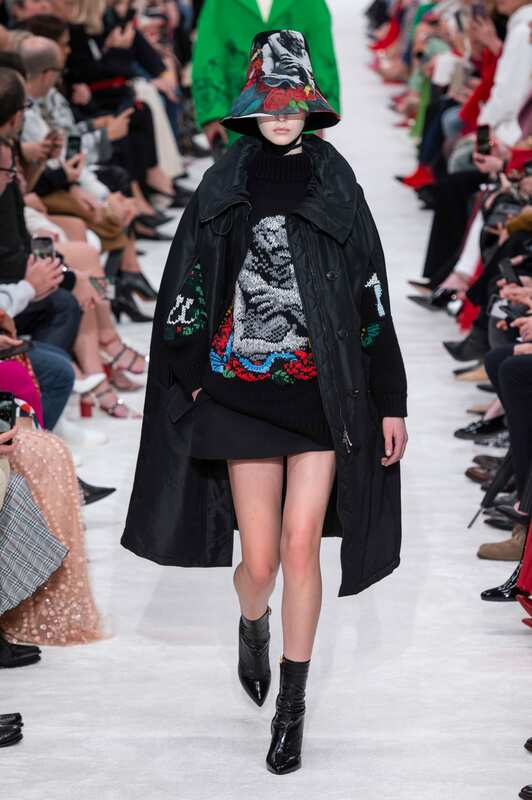 These are questions that were answered at the recent Valentino Fall show in Paris — a show that met a standing ovation at its close. 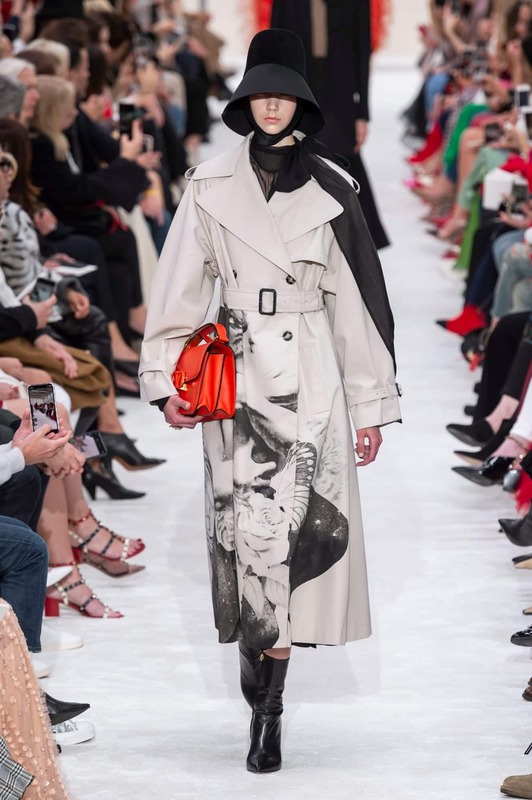 Fashion has become such a commercial industry that we sometimes forget it’s also an art form. But not Pierpaolo Piccioli. 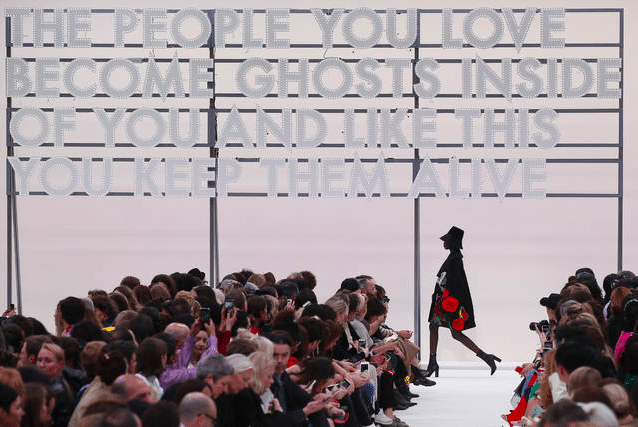 Valentino’s creative director has never failed to remember the emotions and the narrative power of fashion. 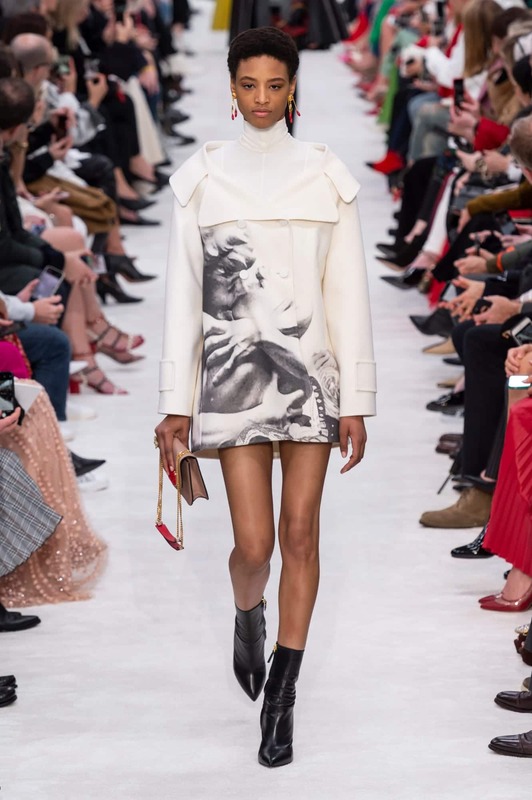 Ask the people who left in tears after Valentino’s couture show back in January and they’ll no doubt attest to the intense sensibilities of his work. 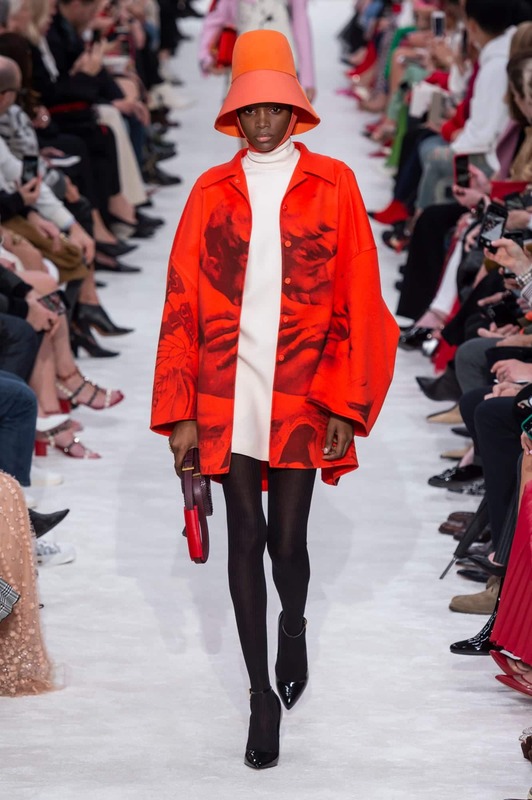 Last Sunday, the Valentino designer raised emotions yet again with another awe-inspiring show. “The people you love become ghosts inside of you and like this you keep them alive”. Each guest walked into last Sunday’s show and faced a huge brilliant sign with this message brightly emblazoned. They then went to their seats and each found a book of poems waiting for them. 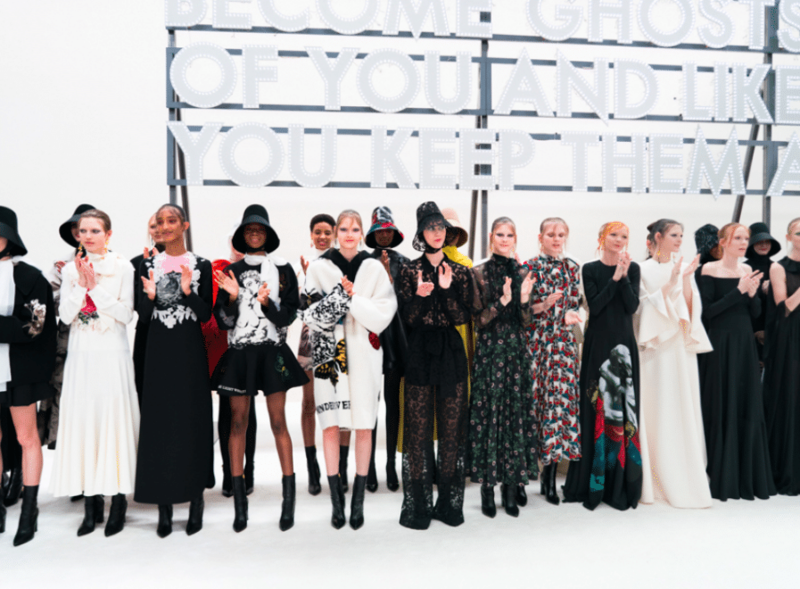 Filled with passionate lines from Greta Bellamacina, Mustafa the Poet, Yrsa Daley-Ward, and Montgomery, it was clear that love and literature were on Piccioli’s brain for this season. Right there in the French capital of love, the designer then proceeded to romance his audience even further. Quite literally an ode to love, the Fall collection emerged decorated with romantic symbolism and lyrical celebrations of passion. 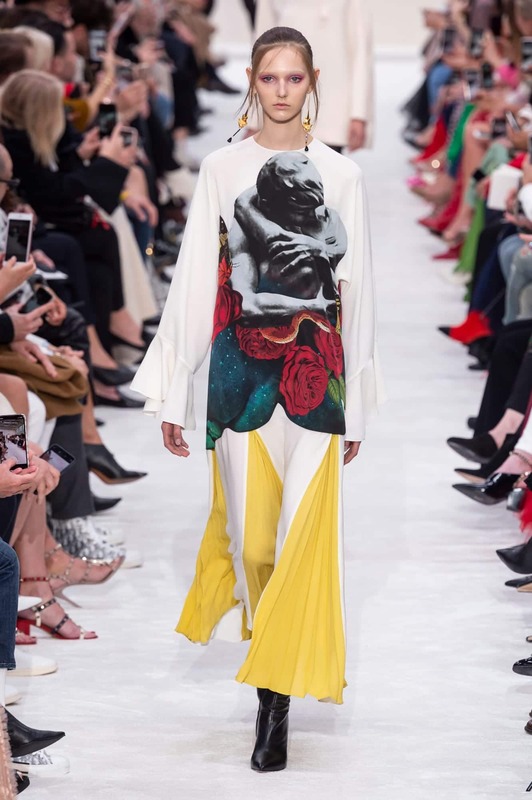 The first looks were printed with graphics of deep red roses and embracing couples like those of sculptural art. These were the result of a collaboration with designer Jun Takahashi — the mentor to Dior’s Kim Jones, inspiration to Virgil Abloh, and creative mind behind Undercover. 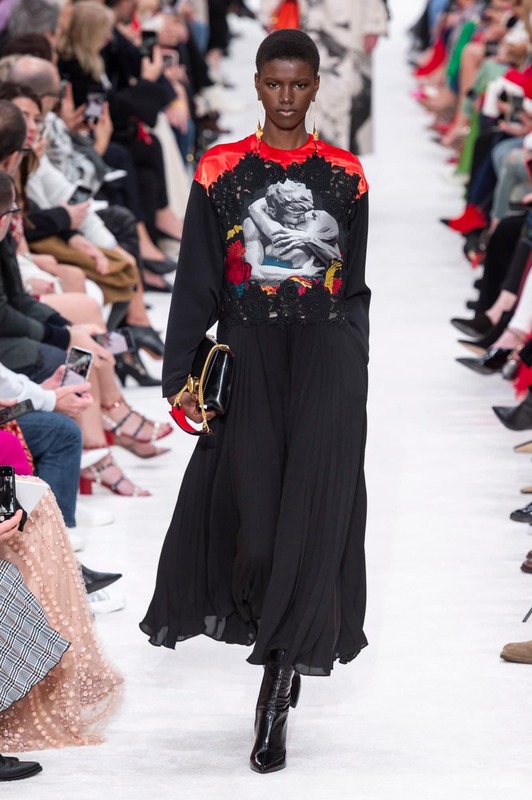 In typical Valentino spirit, the runway looks showed playful yet sophisticated pairings of elegant silk dresses with more street-ready pieces like crew-neck tops and hoodies. 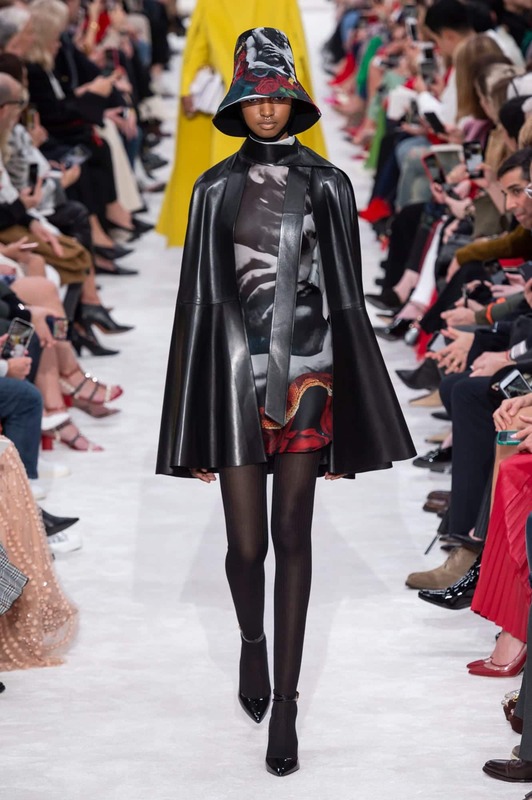 Supermodel Kaia Gerber wore one of the latter which was printed with lines of poetry. By subtly incorporating more modern text and graphic prints with older styles from the Renaissance to the 70s, Piccioli not only attracts a wider age-range of customers but also expresses the idea of love as a generation-transcending language. 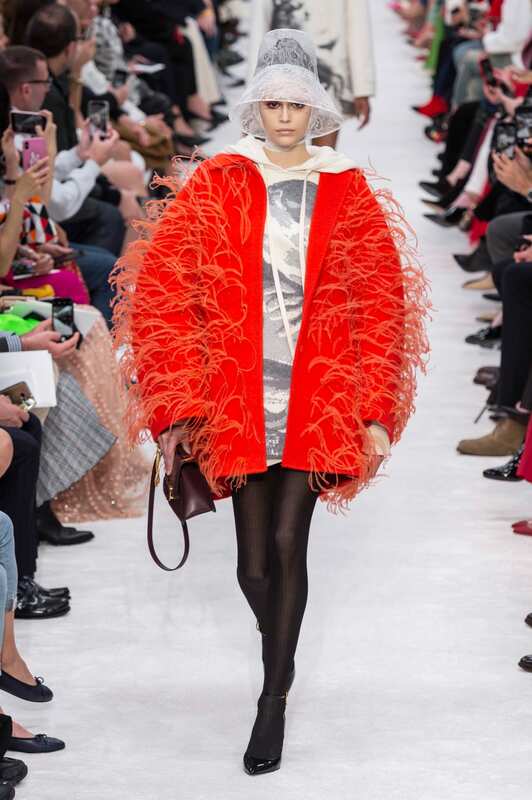 We also saw pleats, tulle, and wispy feathers painting the runway with a delicate and romantic mood, only to be countered by hoodies and dark leathers. Many models also wore low-brimmed lampshade hats that seemed to be optical illusions of feminine bonnets merged with urban hoods. The opposing but strangely harmonious themes visually encapsulated an idea that love always comes with two opposing feelings: joy and pain. Who else but Piccioli could use clothes to narrate this universally familiar bittersweetness? 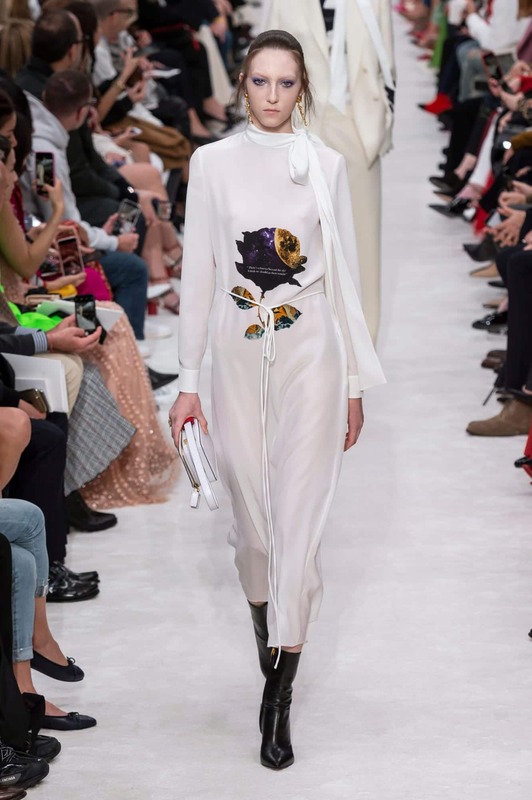 From dreaming of becoming a movie director during his teenage years, Piccioli has instead brought the splendour of cinematic storytelling to the runway. It’s an arguably much more impressive feat, considering how rare it is for people to shed tears or rise to applaud at a fashion show. The Valentino designer has now established himself as one of the most revered members of the fashion industry. This isn’t necessarily because he’s the most technically talented — although he could well be — but because he’s the closest representation of the spirit of fashion. 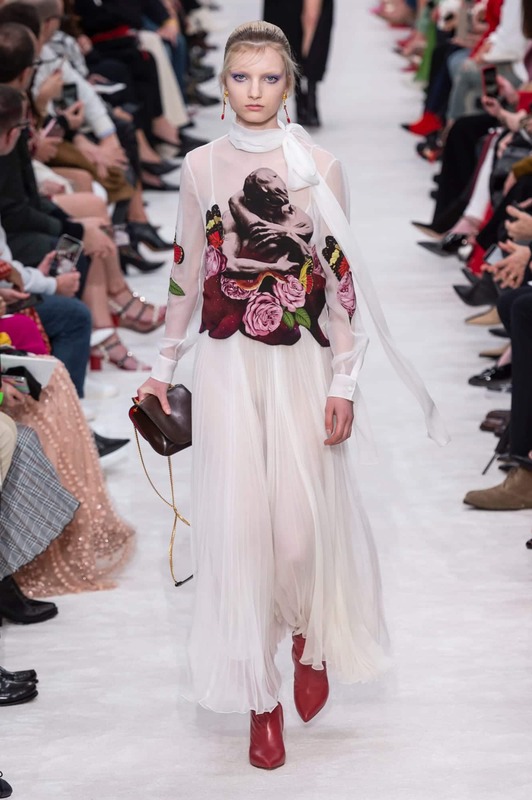 His goal to make Valentino the fashion house of human narration is also a wish to show that fashion can bring people together, can inspire love, and can simply make the heart sing. 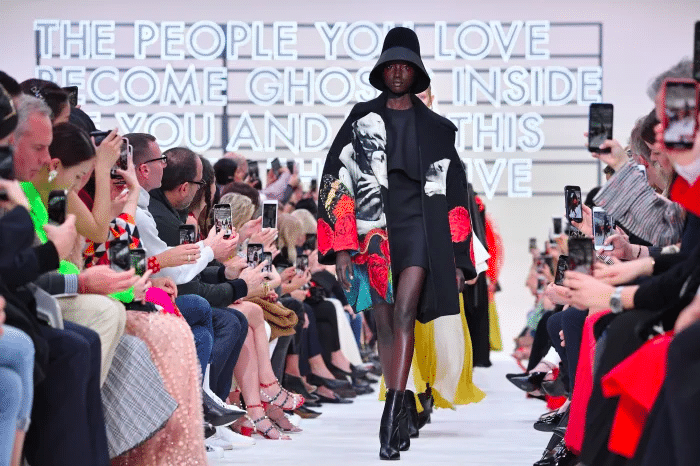 The show last Sunday wasn’t about presenting fashion with poetry; it was about presenting fashion as poetry. Because, again, what is fashion? What is poetry? What is love? Piccioli has shown that the answers to these questions may all be the same. And surely that should earn a standing ovation.